In a press conference this morning, Gov. Wolf announced that he exercised his constitutional authority to line item veto the state budget that was passed by the Senate on Dec. 23rd and delivered to his desk on the 24th (House Bill 1406, P.N. 2626, Letter to the House with veto). The governor expressed clear discontent and discouragement with the legislature in passing a budget that provided a net "$95 million cut to education" funding, which was far from the previous agreement that would have provided a $350 million increase to basic education and $50 million increase to special education. The budget delivered to the governor would have offered a more modest $100 million increase to basic education funding, but cut all necessary funding for school buildings and construction (PlanCon). The governor will push out emergency funding to school districts so that they may continue to operate. The emergency funding amount is based on six months of the amount appropriated for 2014-15, or just over $2.5 billion to fund schools immediately for the first half of the fiscal year. The details of the line item veto and 2015-16 enacted budget are available online. PSBA is encouraged that Governor Wolf has released the federal funds as well as a portion of the state funds needed to keep Pennsylvania students in schools. It is important to continue to call on the legislature and governor to work toward a full education budget agreement that significantly invests in the future of Pennsylvania and provides pension reform for school districts. While the crisis has not been finally resolved, it is encouraging that school districts will receive the money needed to open their doors again in the new year. Capitolwire: Another House GOP budget ultimatum for Wolf. HARRISBURG (Dec. 16) - The more than five-month-old budget impasse might be over by the end of this weekend ... or things could be a lot worse. At least that was the feeling after various meetings of legislative leaders and Gov. Tom Wolf Wednesday afternoon. Later in the day, once the Capitol press corps heard from House Speaker Mike Turzai, R-Allegheny, the situation had a not-so-good, eerily-familiar feel to it. House Republican Caucus leaders, who for the last week-and-a-half have said they can’t get their caucus to back the budget framework agreement to which they themselves agreed back on Nov. 9, said late Wednesday afternoon they have given Wolf 24 hours to pull together the votes necessary to pass a General Appropriations bill in the state House of Representatives. House GOP spokesman Steve Miskin later said House GOP leaders are not asking their caucus to support the plan. 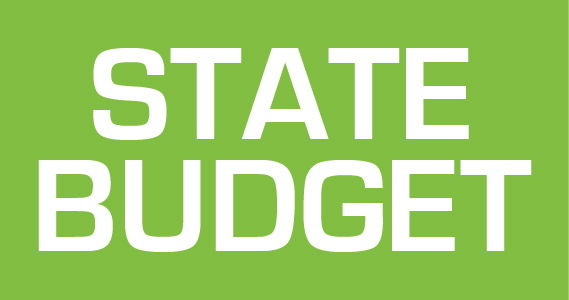 Throughout the budget impasse, legislative Republicans have challenged the governor to show the amount of support he has for his budget plans. The most recent challenge on which Wolf came up short (only 73 House Democratic votes) was an Oct. 7 House vote for a $1.4 billion revenue package ($2.4 billion annualized over a full fiscal year). “The issue has always been about the taxes,” said Turzai, blaming new revenue requests for the continued lack of a state budget. He said a new tax package has been supplied to all four legislative caucuses for their review, along with complete details about the GA bill. As already reported by Capitolwire, the tax package would need to produce a bit more than $700 million in new recurring revenue for the current fiscal year, which would produce approximately $1.8 billion for the full 2016-17 fiscal year. However, no additional tax package details were offered by the House Republicans, and later Miskin said he didn’t believe the package under review “is the definitive package.” Miskin also suggested the GA bill could change between now and a potential final vote on Saturday depending on what promises Wolf might have to make to drum up votes. Currently, the one GA bill in the House – Senate Bill 1073 – has yet to get any days of consideration in the House, and three are required before it can get a final vote. That means if SB1073 gets its first day of House consideration on Thursday, Saturday is the earliest a final vote could take place. However, Wolf has been given a deadline of approximately 12:30 p.m. Thursday to indicate he has the votes. Earlier in the day, House Democrats said they, with the help of Wolf, are trying to pull together as many votes as they can – out of their 84 members – to commit to the roughly $30.8 billion spending plan. “Obviously these are difficult votes for folks, any time you’re talking about taxes and raising revenue it’s hard, but we need to govern –that’s what has to happen here,” added Dermody. When asked about the revenues being considered, Wolf spokesman Jeff Sheridan issued the following statement: “Twice since November, Gov. Wolf has come to a bipartisan agreement with House and Senate leaders on a budget that makes historic investments in education and is balanced and paid for with revenue that begins to address our chronic deficit. Leaders from all four caucuses agreed to this budget - it is time to pass it. “All parties agreed to this budget and all parties have been negotiating this budget for well over a month. Senate Majority Leader Jake Corman, R-Centre, earlier Wednesday afternoon, also confirmed to Capitolwire votes are being counted in the House. “Hopefully that will be achieved and we can move forward starting tomorrow – that would be the goal – but we’re at the mercy of the House right now,” he added. And if the votes aren’t in the House? “We’ll cross that bridge when we come to it,” said Dermody. According to Turzai, if there aren’t enough votes, then the House GOP plans to begin another stopgap budget process that would provide 11 months of funding. Miskin said it would only be an 11-month plan since it isn’t certain the state would have enough revenue under current law (no additional taxes) to fund a full 12 months of spending. The last stopgap effort – for about three months of funding - by legislative Republicans met with a Wolf veto. A source close to the budget negotiations said the Wolf administration, if another stopgap is sent to the governor, is prepared to make what Gov. Tom Corbett did to the Legislature during last year's budget pale in comparison to what would happen to legislative Republicans under Wolf's blue pen. For those who don't remember, Corbett signed the FY2014-15 state budget, but line-item vetoed $65 million from the Legislature's operating budget. Corman said he’s still talking with other Senate leaders, but it looks like the Senate will be in session this weekend to potentially put the finishing touches on a budget, as long as the House pulls everything together. “We’re going to be sitting down talking about schedules, but we’ll be in the next couple days, I’m sure, and begin the process to finish up,” he said hopefully. Corman said once they know things “are ready” in the House, the Senate is ready to move a tax code bill, although he said the final details have yet to be worked out on that. “It’s just a matter of waiting for them,” he said with regard to the timing of a tax revenue bill. “Look, when the House is ready, we’ll be ready, and then we can get this done in a couple days,” said Corman. With regard to other bills in the framework, there still appear to be plenty of questions. The House-amended pension reform bill, that could take until Friday, or maybe later, to get back to the Senate, hasn’t been changed enough to scuttle the budget deal, Corman said. But Democrats are still hoping to make some changes to the pension bill, although it remains to be seen if they’ll happen. “We believe the multiplier should be 1.25” percent, not the 1 percent currently included in the DB portion of the new hybrid plan, “we’re still fighting for that; we feel one is not a multiplier,” said Dermody. Any amendment to the pension bill would require an actuarial note from the Public Employee Retirement Commission (PERC), and earlier on Wednesday, PERC Executive Director Jim McAneny told Capitolwire any additional changes with cost impacts on the current pension legislation could take until next week for actuaries to produce. The newest proposed version of the Elementary and Secondary Education Act—dubbed the Every Student Succeeds Act—has officially been released . Votes in both chambers of Congress are expected over the next couple weeks. If all goes as planned, the bill will reach President Barack Obama's desk by the end of the year—and he's expected to sign it. So what is in the ESSA, when it comes to accountability, testing, programs, and more? And how does it compare to No Child Left Behind Act, Classic Edition, and the Obama administration's NCLB waivers? Superintendents and curriculum leaders join national summit to hear from renowned experts and explore powerful instructional strategies. Your updated cheat sheet here. Top-line stuff first. Scroll down further if you want the nitty-gritty details on accountability, including a few new tweaks from the framework we posted last week. And scroll down even further if you want more details on other aspects of the deal (an update of past Politics K-12 cheat sheets, including information on how the transition from waivers and current law will work, English-language learners, which programs made the cut, teacher provisions, and much more.) And find reaction to the bill here. The top-line stuff: The ESSA is in many ways a U-turn from the current, much-maligned version of the ESEA law, the No Child Left Behind Act. States would still have to test students in reading and math in grades 3 through 8 and once in high school, and break out the data for whole schools, plus different "subgroups" of students (English-learners, students in special education, racial minorities, those in poverty). But beyond that, states get wide discretion in setting goals, figuring out just what to hold schools and districts accountable for, and deciding how to intervene in low-performing schools. And while tests still have to be a part of state accountability systems, states must incorporate other factors that get at students' opportunity to learn, like school-climate and teacher engagement, or access to and success in advanced coursework. States and districts will have to use locally-developed, evidence-based interventions, though, in the bottom 5 percent of schools and in schools where less than two-thirds of students graduate. States must also flag for districts schools where subgroup students are chronically struggling. The federal School Improvement Grant program is gone, but there are resources in the bill states can use for school turnarounds. And, in a big switch from the NCLB waivers, there would be no role for the feds whatsoever in teacher evaluation. Another big switch from waivers: In a win for civil rights groups, the performance of each subgroup of students would have to be measured separately, meaning states could no longer rely solely on so-called supersubgroups . That's a statistical technique in the waivers that allowed states to combine different categories of students for accountability purposes. The bill would combine some 50 programs, some of which haven't been funded in years, into a big giant block grant. When it comes to accountability, there are definitely some "guardrails," as one of the bill's sponsors, Sen. Patty Murray, D-Wash., would say. (More on just what those are below.) But the U.S. Secretary of Education authority is also very limited, especially when it comes to interfering with state decisionmaking on testing, standards, school turnarounds, and more. It's still unclear just how the accountability or "guardrails" provisions of the bill vs. limits on secretarial authority dynamic will play out in regulation. There are definitely provisions in this bill that state and district leaders and civil rights advocates can cite to show that states and schools will have to continue to ensure equity. But, it could prove tough for the U.S. Department of Education to implement those provisions with a very heavy hand, without at least the threat of lawsuits, some analysts say.
" What can the secretary do and not do? I think that's where the lawsuits will be, " said Chad Aldeman, an associate partner at Bellwether Education, who served in the U.S. Department of Education under President Barack Obama. Plans: States would still have to submit accountability plans to the Education Department. T hese new ESSA plans would start in the 2017-18 school year. The names of peer-reviewers would have to be made public. And a state could get a hearing if the department turned down its plan. No more expectation that states get all students to proficiency by the 2013-14 school year, as under NCLB Classic . (That ship has sailed, anyway.) And no more menu of goals, largely cooked up by the department, as under the waivers . Instead, states can pick their own goals, both a big long-term goal, and smaller, interim goals. These goals must address: proficiency on tests, English-language proficiency, and graduation rates. Goals have to set an expectation that all groups that are furthest behind close gaps in achievement and graduation rates. What kinds of schools will states have to focus on? States have to identify and intervene in high schools where the graduation rate is 67 percent or less. States, with districts, have to identify schools where subgroup students are struggling. What do these accountability systems have to consider? The list of "indicators" is a little different for elementary and middle schools vs. high schools. States need to incorporate a jumble of at least four indicators into their accountability systems. And, in a big new twist, states must add at least one, additional indicator of a very different kind into the mix . Possibilities include: student engagement, educator engagement, access to and completion of advanced coursework, post-secondary readiness, school climate/safety, or whatever else the state thinks makes sense. Importantly, though, this indicator has to be disaggregated by subgroup. States are already experimenting with these kinds of indicators under the waivers, especially a cadre of districts in California (the CORE districts). Still, this is new territory when it comes to accountability. Basically the same set of indicators, except that graduation rates have to be part of the mix. They take the place of a second academic indicator. So to recap, that means for high schools: proficiency on tests, English-language proficiency, graduation rates, plus at least one other indicator that focuses a little more on whether students have the opportunity to learn, or are ready for post-secondary work. And also, test participation has to be incorporated in some way. (But it's a standalone factor, not a separate indicator like test, grad rates, or those non-academic factors). Districts work with teachers and school staff to come up with an evidence-based plan. States monitor the turnaround effort. Districts could also allow for public school choice out of seriously low-performing schools, but they have to give priority to the students who need it most. These schools have to come up with an evidence-based plan to help the particular group of students who are falling behind. For example, a school that's having trouble with students in special education could decide to try out a new curriculum with evidence to back it up and hire a very experienced coach to help train teachers on it. Districts monitor these plans. If the school continues to fall short, the district steps in. The district decides just when that kind of action is necessary, though; there's no specified timeline in the deal. Importantly, there's also a provision in the deal calling for a "comprehensive improvement plan." States and districts have to take more-aggressive action in schools where subgroups are chronically underperforming, despite local interventions. Their performance has to look really bad though, as bad as the performance of students in the bottom 5 percent of schools over time. What kind of resources are there for these interventions? The School Improvement Grant program, which is funded at around $500 million currently, has been consolidated into the bigger Title I pot, which helps districts educate students in poverty. But s tates would be able to set aside up to 7 percent of all their Title I funds for school turnarounds, up from 4 percent in current law. (That would give states virtually the same amount of resources for school improvement as they get now, through SIG.) Most of the money would have to districts. It would be up to states whether to send that money out by formula, to everyone, or competitively, as they do now with SIG dollars. (More in this cheat sheet from AASA, the School Administrator's Association, which has been updated on this issue.) Bottom line: There are resources in the bill for school turnarounds. What about the tests? The testing schedule would be the same as under NCLB. But in a twist, up to seven states could apply to try out local tests, with the permission of the U.S. Department of Education. And importantly, these local tests aren't supposed to be used forever—the point is for districts to experiment with new forms of assessment (as New Hampshire is doing with performance tasks) that could eventually go statewide and be used by everyone. That way states don't get stuck with the same old assessment for years on end. What's more, the framework allows for the use of local, nationally-recognized tests at the high school level, with state permission. So a district could, in theory, use the SAT or ACT as its high school test, instead of the traditional state exam. Also, computer adaptive testing would be easier. More here. What about standards? States must adopt "challenging" academic standards, just like under NCLB Classic. That could be the Common Core State Standards, but it doesn't have to be. And, as we noted above, the U.S. Secretary of Education is expressly prohibited from forcing or even encouraging states to pick a particular set of standards (including Common Core). What about that supersubgroup thing mentioned higher up? Supersubgroups are a statistical technique used in the waivers that call for states to combine different groups of students (say, students in special education, English-language learners, and minorities) for accountability purposes. By my reading of the bill, it would seem that's a no-no. States now have to consider accountability for each subgroup separately. States liked the flexibility of supersubgroups. But former Rep. George Miller, D-Calif., and civil rights groups said they masked gaps. The deal appears to eliminate the use of supersubgroups. How do we transition from NCLB and the waivers to this new system? The bill outlines the transition plan from the Obama administration's ESEA waivers to this bold new era of accountability. Waivers would appear be null and void on Aug. 1, 2016, but states would still have to continue supporting their lowest-performing schools (aka what the waivers call "priority schools") and schools with big achievement gaps (aka "focus schools") until their new ESSA plans kicked in. So it seems that 2016-17 will be the big transition year. It will be partially under the Obama administration, and partially under the new administration. In general, ESSA would apply to any competitive federal grants beginning Oct. 1, 2016, so most grants would still be under the NCLB version of the law for the rest of this school year. For formula grants (like Title I) it starts July 1, 2016. What about the rest of the bill? Scroll down for information on English-language learners, students in special education, school choice, teachers, and funding provisions. Where does the deal land when it comes to when newly arrived English-language learners must be tested? (Background on this issue here). States would have two choices. The compromise would shift accountability for English-language learners from Title III (the English-language acquistion section of the ESEA) to Title I (where everyone else's accountability is). The idea is to make accountability for those students a priority. The bill largely sticks with the Senate language, which would allow states to create their own testing opt-out laws (as Oregon has). But it would maintain the federal requirement for 95 percent participation in tests. However, unlike under the NCLB law, in which schools with lower-than-95 percent participation rates were automatically seen as failures, local districts and states would get to decide what should happen in schools that miss targets. States would have to take low testing participation into consideration in their accountability systems. Just how to do that would be up to them. There's more consolidation of federal education in the compromise than there was in the Senate bill. For a look at how much money each program is slated to receive, check out this great (and updated!) cheat sheet from the Committee for Education Funding. Some programs would live on as separate line items, including the 21st Century Community Learning Centers program, which pays for after-school programs and has a lot support on both sides of the aisle in Congress. Other survivors: Promise Neighborhoods, and a full-service community schools program. And there's a standalone program for parent engagement. There are also reservations for Arts Education, gifted education, and Ready to Learn television. No Title I portability: That means that federal funds won't be able to follow the child to the school of their choice. But the bill does include a pilot project allowing districts to try out a weighted student funding formula, which would also essentially function as a backpack of funds for kids. The program would allow 50 districts to combine state, local, and federal funds for easy transferrability. It is said to be a more workable alternative to Title I portability, which looked more dramatic on paper, but which few states would likely have taken advantage of because of its complexity, experts said. Importantly with this pilot, participation would be entirely up to district officials. And the language would give them a chance to better target funds to individual school needs. The headline here is that states would no longer have to do teacher evaluation through student outcomes, as they did under waivers. And NCLB's "highly qualified teacher" requirement would be officially a thing of the past. There's also language allowing for continued spending on the Teacher Incentive Fund—now called the Teacher and School Leader Innovation Program—which provides grants to districts that want to try out performance pay and other teacher-quality improvement measures. And there are resources for helping train teachers on literacy and STEM. Much more from Teacher Beat. No changes to the Title I funding formula along the lines of what the Senate passed that would steer a greater share of the funds to districts with high concentrations of students in poverty. But there were some changes to the Title II formula (which funds teacher quality) that would be a boon to rural states. There was some chatter that the bill would also incorporate changes to the Family Educational Rights and Privacy Act. That's not part of the agreement. The framework would only "authorize" ESEA for four more years, as opposed to the typical five. That gives lawmakers a chance to revisit the policy under the next president, should they choose to do so. And its overall authorization levels are largely consistent with the most recent budget deal.